NOTE TO STUDENTS: This is a complicated story. When reading, circle the names of towns/cities, underline or highlight the names of people, etc. After reading this article, you will know more than most people about this important news story. 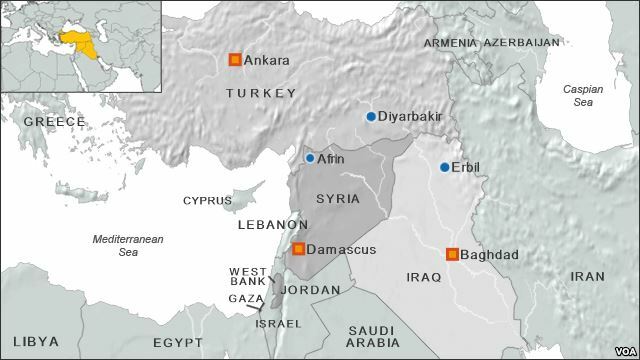 (by Suleiman al-Khalidi and Humeyra Pamuk, Reuters) Beirut/Oncupinar, Turkey — The Syrian army advanced toward the Turkish border on Monday in a major offensive backed by Russia and Iran that rebels say now threatens the future of their nearly five-year-old insurrection against President Bashar al-Assad. The Syrian military and its allies were almost 3 miles from the rebel-held town of Tal Rafaat, which has brought them to around 16 miles from the Turkish border, the rebels, residents and a conflict monitor said. The assault around the city of Aleppo in northern Syria has prompted tens of thousands to flee toward Turkey, which is already sheltering more than 2.5 million Syrians, the world’s largest refugee population. 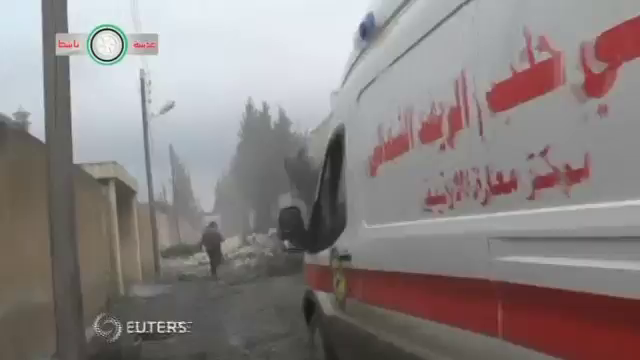 In the last two days escalating Russian bombardment of towns north west of Aleppo, Anadan and Haritan, brought several thousand more, according to a resident in the town of Azaz. Aleppo, Syria’s largest city before the war with 2 million people, has been divided for years into rebel and government-held sections. The government says it wants to take back full control of the city, which would make it the biggest prize yet in a war that has already killed at least 250,000 people and driven 11 million from their homes. Rebel-held areas in and around Aleppo are still home to 350,000 people, and aid workers have said they could soon fall to the government. 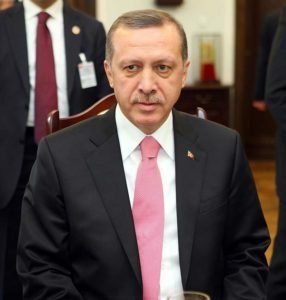 Turkish President Tayyip Erdogan was quoted at the weekend as saying Turkey was under threat and Ankara has so far kept the border crossing there closed to most refugees. There are now around 77,000 refugees taking shelter in camps on the Syrian side of the Turkish border, Turkish Deputy Prime Minister Numan Kurtulmus said on Monday. He said that a worst-case scenario could see as many as 600,000 at Turkey’s border. After around a week of heavy Russian air strikes, Syrian government troops and their allies broke through rebel defenses to reach two Shi’ite towns in northern Aleppo province on Wednesday, choking opposition supply lines from Turkey. German Chancellor Angela Merkel said she was “appalled” by the suffering of Aleppo, blaming primarily Russian bombing and suggesting it violated a U.N. Security Council resolution Moscow signed in December. “The route to Aleppo is completely closed and this is a road that was feeding all the main arteries inside Syria. Unless this is reopened, you will see Aleppo falling day by day into a similar situation as in Madaya and Ghouta and you will see a deepening humanitarian crisis,” he said. The Syrian army’s success in opening a route to the Shi’ite towns of Nubul and Zahraa enabled it to cut a main highway that linked rebel held areas in the northern countryside with the eastern part of Aleppo held by insurgents since 2012. 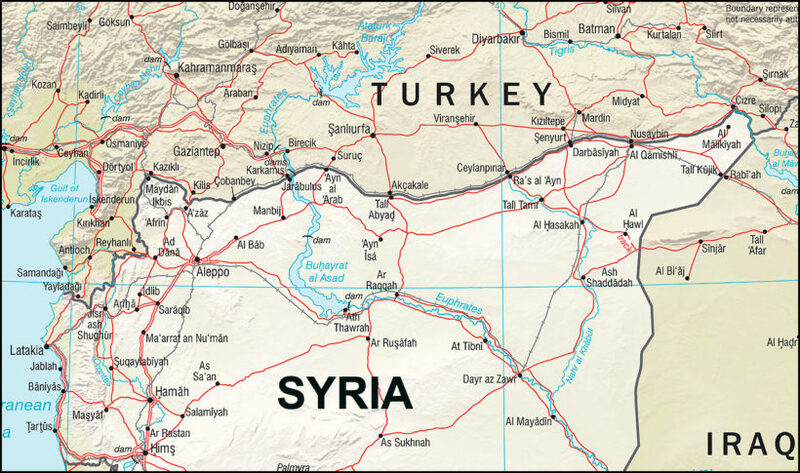 The latest gains by the Syrian government brings it to the closest point to the Turkish border area since August 2013, the Syrian Observatory for Human Rights said. The prospect of the loss of Azaz, just a few miles from the Bab al Salama border crossing, would virtually wipe out the insurgents from their main stronghold in northwest Syria, though they still control much of nearby Idlib province. Russian bombing has for weeks targeted rebel routes to the main border crossing that was once a major gateway from Europe and Turkey to the Gulf and Iraq. Since it fell to insurgents, the crossing has been both a major commercial lifeline and arms supply route for rebel-held areas in Idlib and Aleppo provinces. The Syrian army’s advance has also been indirectly helped by Kurdish-led YPG militias who control the city of Afrin, south west of Azaz. They have seized a string of villages including Ziyara and Khreiybeh in the last few days, rebels said. The Observatory also said the Kurds had secured the villages of Deir Jamal and Maranaz from Islamist insurgents. In a multi-sided civil war that has drawn in global and regional powers, the Kurds have emerged as the strongest allies on the ground in Syria of a U.S.-led coalition bombing Islamic State militants in eastern Syria and northern Iraq. But Turkey, which supports other rebel groups, is hostile to the Syrian Kurds, which it views as allies of its own Kurdish separatists. 2. Why are the rebels pulling back from their stronghold in Aleppo? 3. 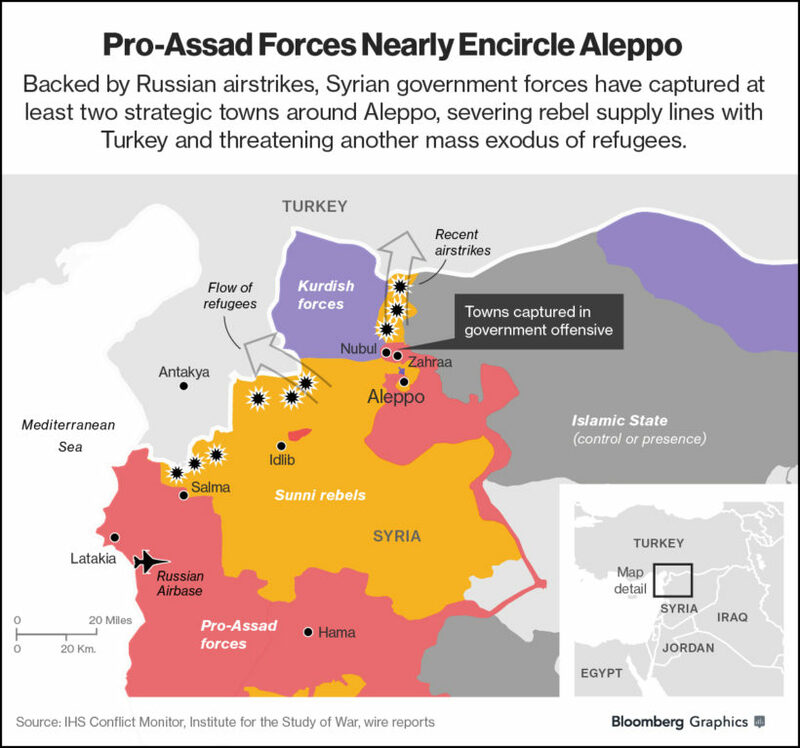 What is significant about the Russian-backed Syrian government’s advance into Aleppo in recent days? 4. a) What was the population of Syria in 2013? b) How many people have died since the fighting began? c) How many people have left their homes (either to go to another area of Syria or out of the country altogether)? 5. What is significant about the Syrian army’s capture of the towns of Mayer and then Karin this week? 6. Re-read paragraph 23, which shows how complicated the civil war in Syria is. This article barely mentions ISIS fighters in Syria, but they are really the main problem. Russia has said it is only targeting ISIS terrorists in Syria, but that is not the case at all. 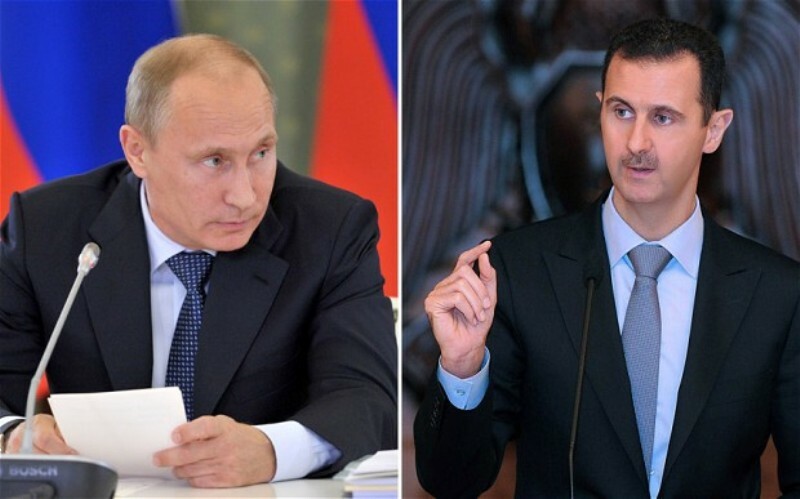 Turkey, Arab states and the West say Russian airstrikes are aimed mostly at other opponents of Assad. What effect has four months of Russian airstrikes against Syrian rebels had on the conflict? Note: As CBS News reports: “The Syrian uprising began in March 2011 with mostly peaceful protests but escalated into a full-blown civil war after a harsh government crackdown on peaceful protesters.” Unfortunately, ISIS and other terrorist groups infiltrated the “genuine” rebels fighting for a free Syria. It would be difficult to assist the rebels, and the U.S. has not been effective in aiding in peace negotiations.